Our first snow fall! Ok it’s not even winter yet, and yesterday was a crazy evening driving home in rush hour as the snow came down. Oh and the freezing temperature making the roads icy and horrible to drive in. I really shouldn’t complain, I mean, we had a great Fall and from -18 to +9 tomorrow we all can agree that mother nature is a bit confused ha! I’m soo glad I bought these Sorel boots. Walking from my parking spot to and from work was a piece of cake yesterday evening and this morning. 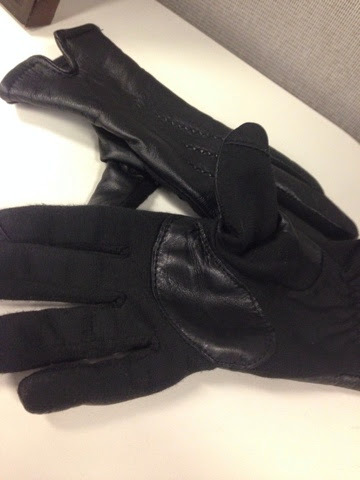 Oh and my leather gloves with the iphone tips. Perfect. Yesterday I left work just as the snow began. I spent 3 hours in the car. Picking up little K from daycare and heading home. We stopped along the way to pick up hot chocolate for me and a grilled cheese for little K. That made sitting in traffic on the hwy a bit better. Little K was asking to go to the bathroom while we were in traffic eek. 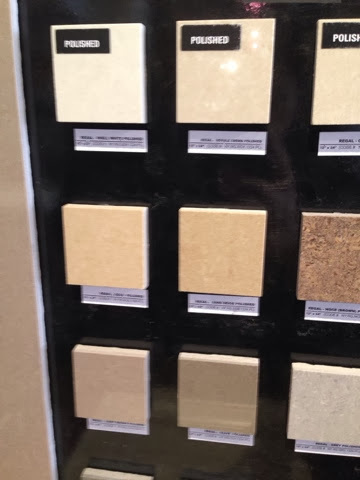 I told him to hold it. and he did! haha. He was in his pull ups and I was surprised that he held it till we got home! We are in the car a lot! 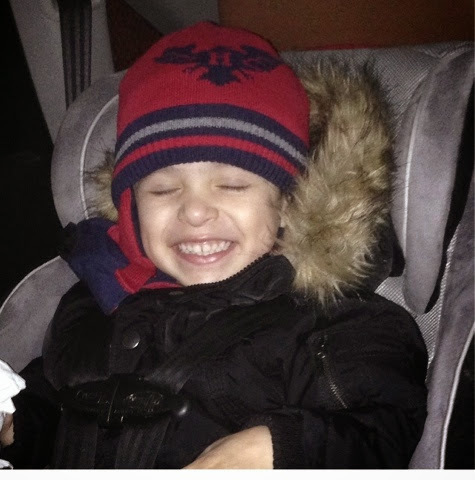 So potty training and car rides… this will be a new challenge for us. If you have any suggestions please leave a comment below! Yesterday was just the first snow fall and it wasn’t THAT bad. We have worse to come. I’m also sending my prayers to all those in Buffalo that got hit really bad. Stay safe and warm. Lets pray our winter takes it easy this year. 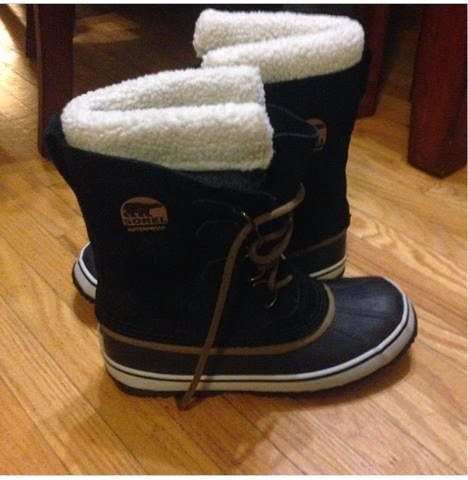 I’m trying to be as ready for winter as we can be. ***house update. 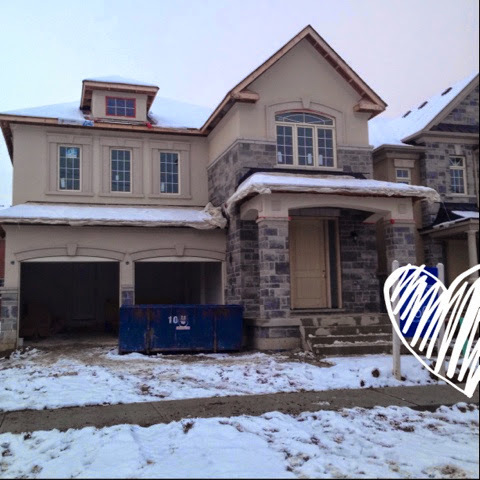 Stucco is done! Happy Thursday! Weekend is around the corner! Today is family day! A day off we have to enjoy time with our loved ones. 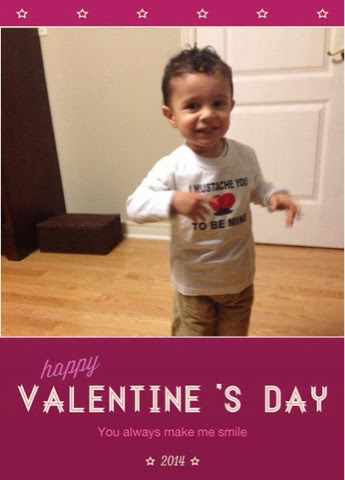 Friday was Valentines day so it was nice that we had a long weekend! 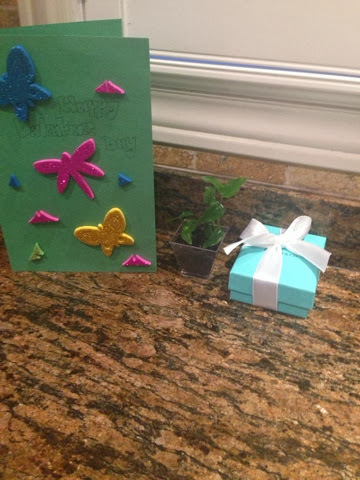 Little k made us a cute little card and plant. 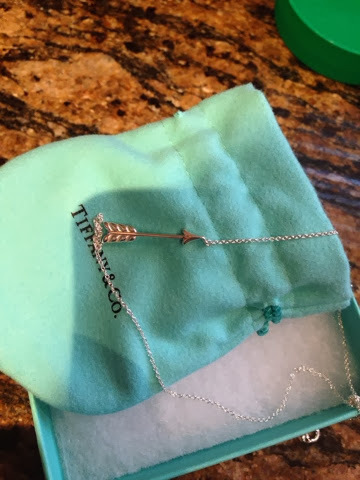 My husband bought me a Tiffany necklace and we enjoyed a dinner in Friday night. We all slept in everyday this weekend. It was soo nice. 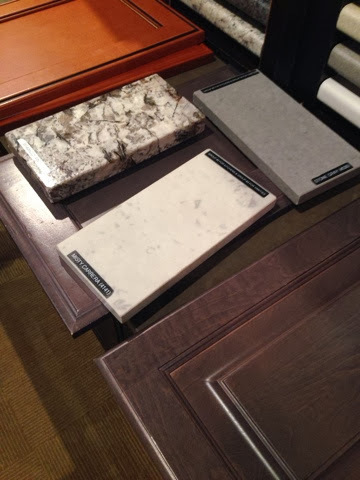 We also went to pick some cabinets and tiles for the new house. We have some good ideas but haven't made our final desicion just yet. Hopefully we will decide by next week!